Mabel Louise, recorded on Tuesday for broadcast on wwib Thursday morning at 11:15. 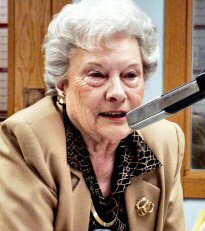 Mabel Louise speaks of heaven in this message, and while this recording played over the air, she was ministering this message of hope personally at the memorial services for a personal friend. Andy Finch started the sport of snowboarding when he was a kid growing up in California. Eventually he chose Half Pipe and in his mid 20s made the United State Olympic Team for the Turin Italy games. Now at age 37 Andy joins Greg on Sports and Commentary to visit about his international career and the crazy lifestyle of pro snowboarding that drove him to his knees. Part 3 of a 4 part series.